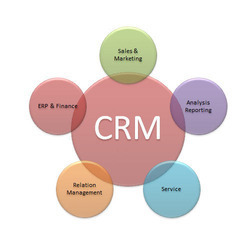 We are offering CRM Software to our clients. 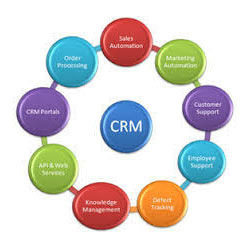 Our company is accomplished to render Healthcare CRM Software. This service is rendered under the leadership of adroit personnel who have affluent industry practice. To meet the meticulous requirements and demands of our valued customers, we also change this service as per their necessities. You may have noticed that other companies are stepping up their game when it comes to knowledge management in customer support, hearing from focus groups that some customers are talking about actually enjoying using customer support at other companies, and noticing a buzz about cost reductions achieved by others at the latest customer support conference you attended. MIND has developed a robust CRM application that not only track & manage the sales leads lifecycle but also give insight to the businesses about market trends to improvise their offerings to meet customer expectations which leads to increase in sales. Sugar CRM is one of the popular Customer Relationship Management(CRM) Software. Star Web Maker offers hosting services for CRM with SugarCRM. We provide free SugarCRM installation, powerful servers for great CRM performance, high quality customer service.